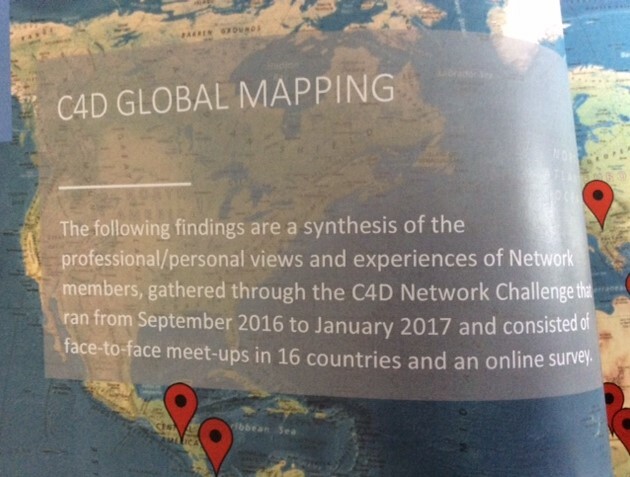 Our March Focus session saw the launch of two exciting new C4D Network resources – the C4D Network Yearbook and our 2016/17 Network Mapping Study. Our C4D Yearbook presents an overview of the Network – from country chapters to our current partnership projects – and highlights all our upcoming projects, themes and events for 2017. If you would like to play a larger role in the Network the Yearbook also offers suggestions for how to get involved. This is our first Network Yearbook and it was put together in recognition of our growth from small beginnings as a consultants’ lunch group ten years ago, to the present global network of over 3,000 C4D members, with emerging country chapters and strong collaborative energy and great potential. The full Yearbook can be viewed here. A wide range of people have tirelessly advised and worked on the evolution of the Network and we would like to say a big thank you to all members of the C4D Network for supporting its development over the past ten years. Onwards and upwards!